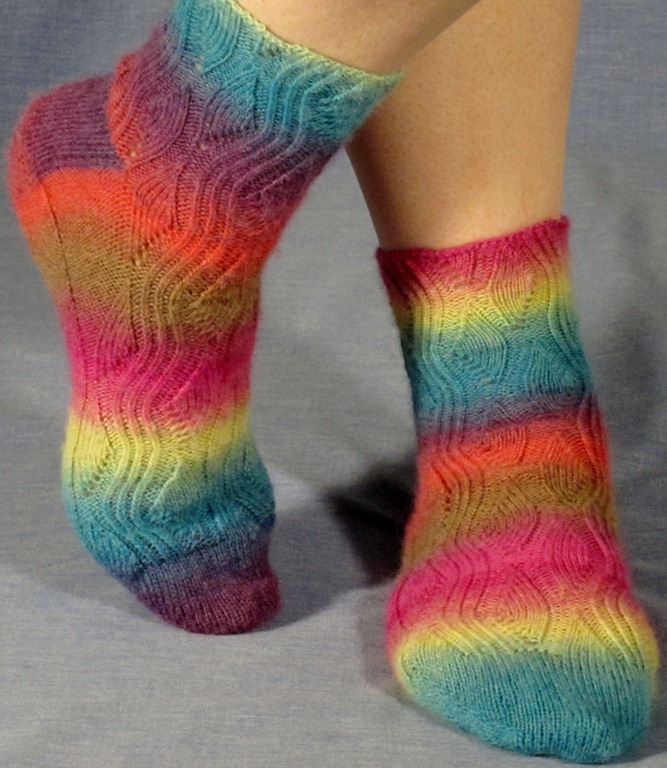 Really nice sock pattern and yarn combo. 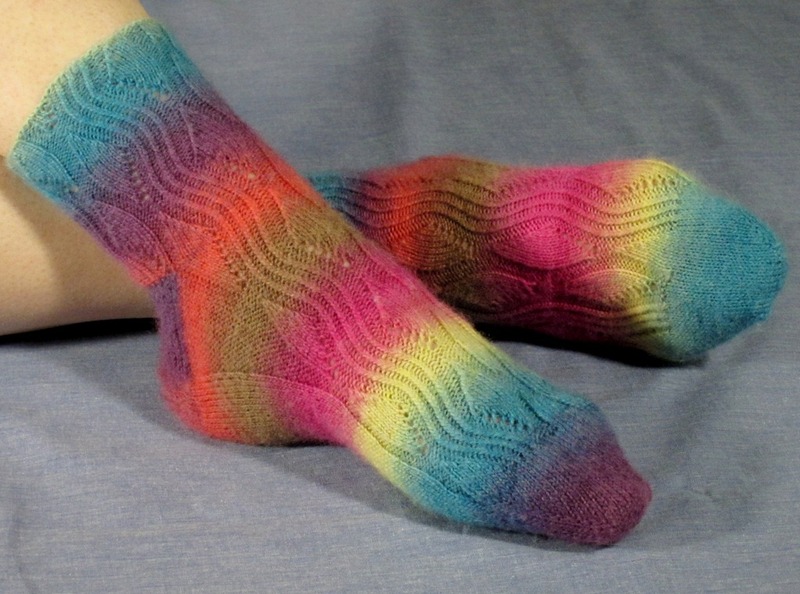 Next order from KnitPicks will include Chroma. Glad you like them! 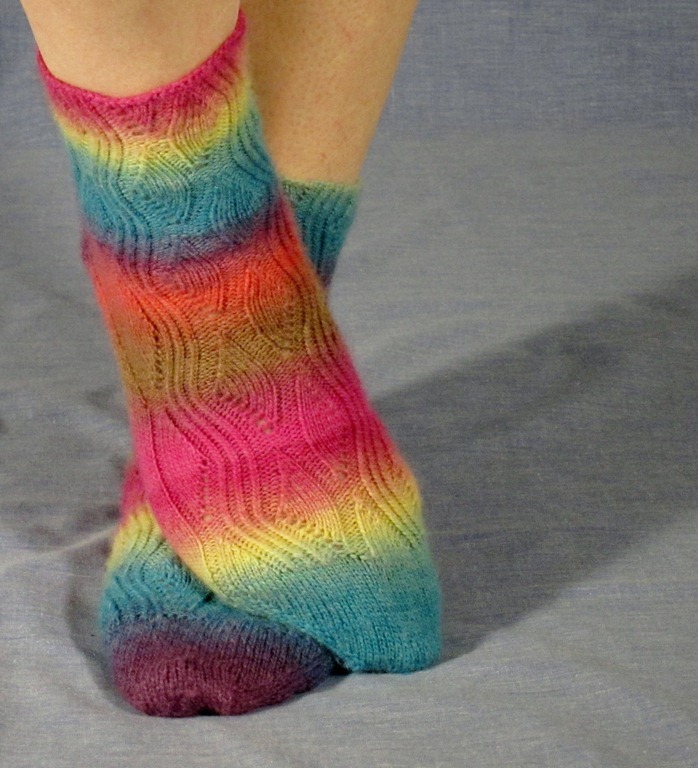 I don’t do toe-up socks often, but I always have fun when I do. I liked working with Chroma a lot too. very nice. i like your pattern. I have been looking at that yarn the last two times I have ordered. I just might have to try some now. 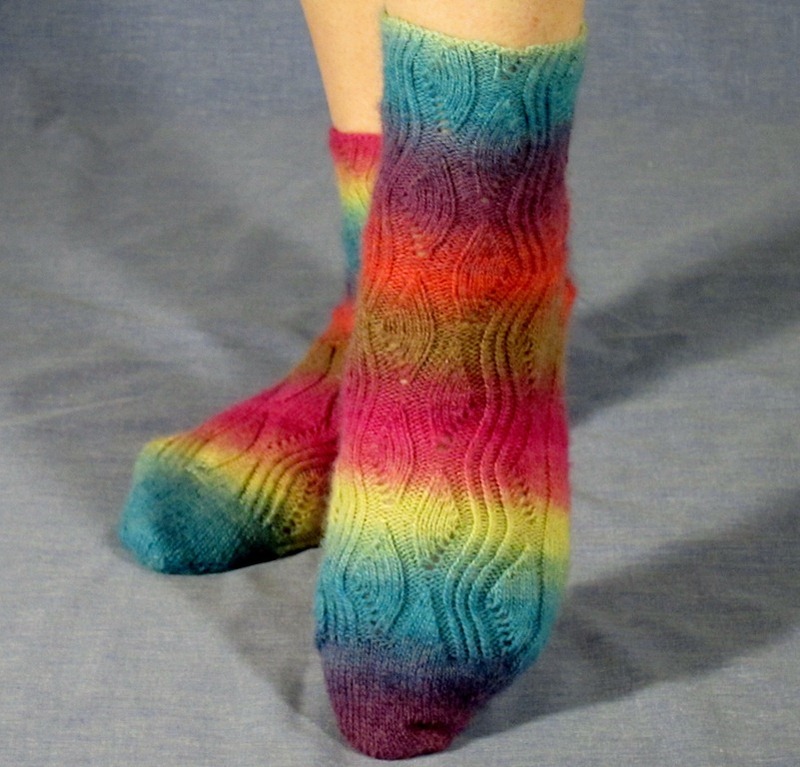 The sock pattern is great! I love yarns with that slow color change; I was really happy when I saw Knit Picks had some! I have another colorway- now I have to decide what to do with it! I think the name is great. The waves in the pattern, and how they travel up thte whole length of the foot, really evoke the movement of the fish. Great job! Thanks! I wanted to name it “Moguls” for a long time, but that might have been because I was skiing at the time. You know the colors got me right away! Then the pattern impressed me even more.